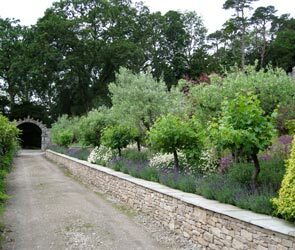 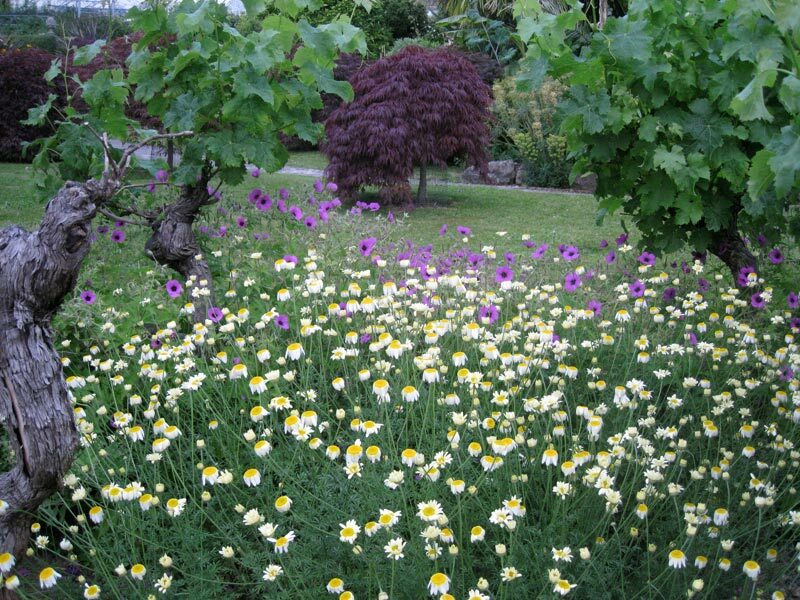 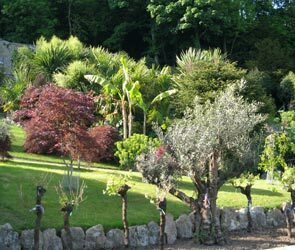 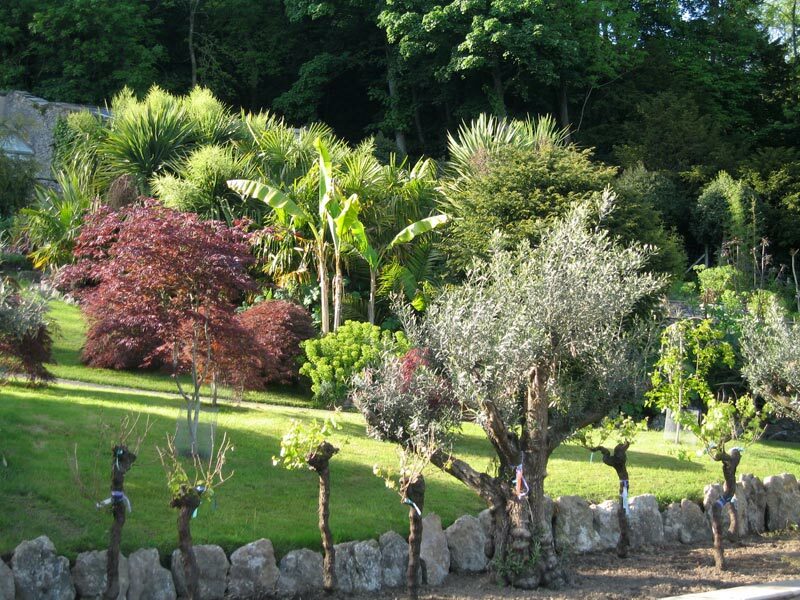 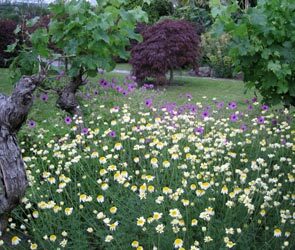 The Olive Grove was built to enliven the long drive which bisects the garden. 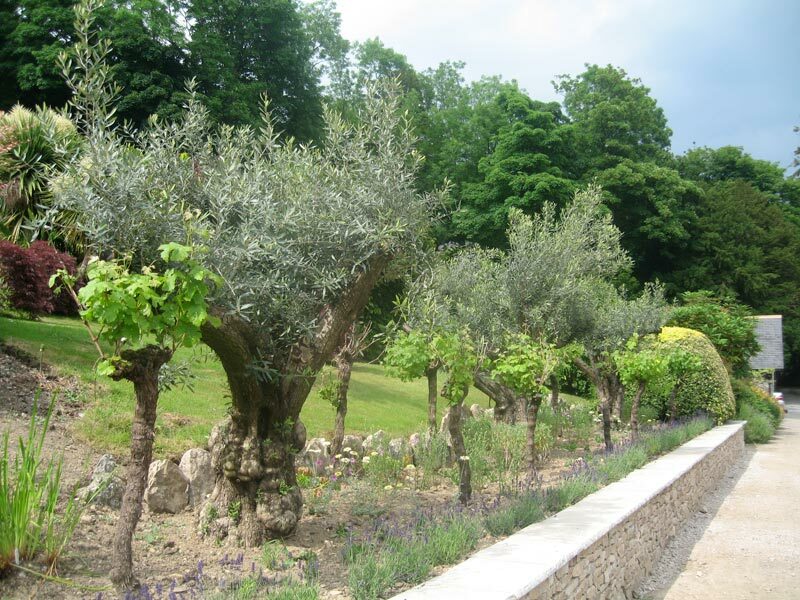 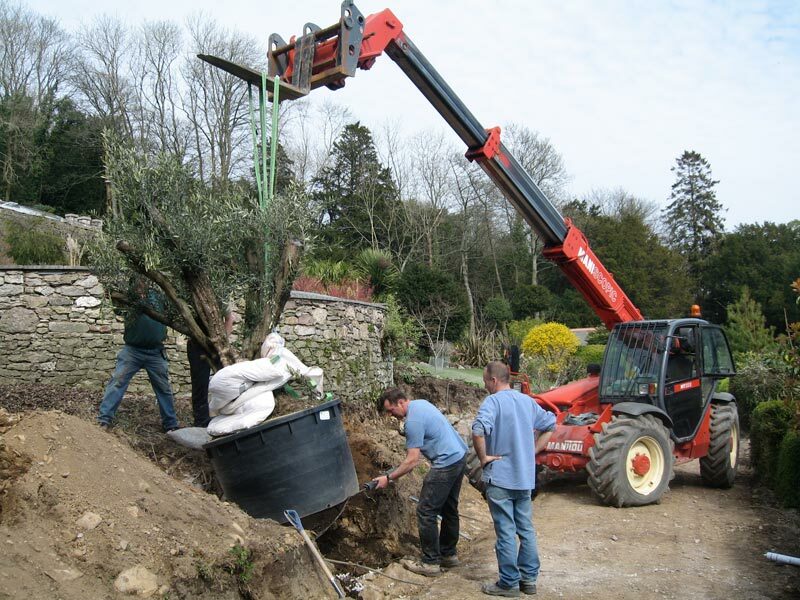 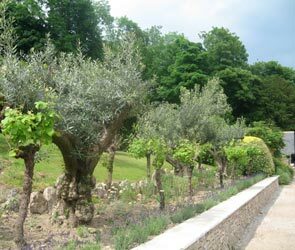 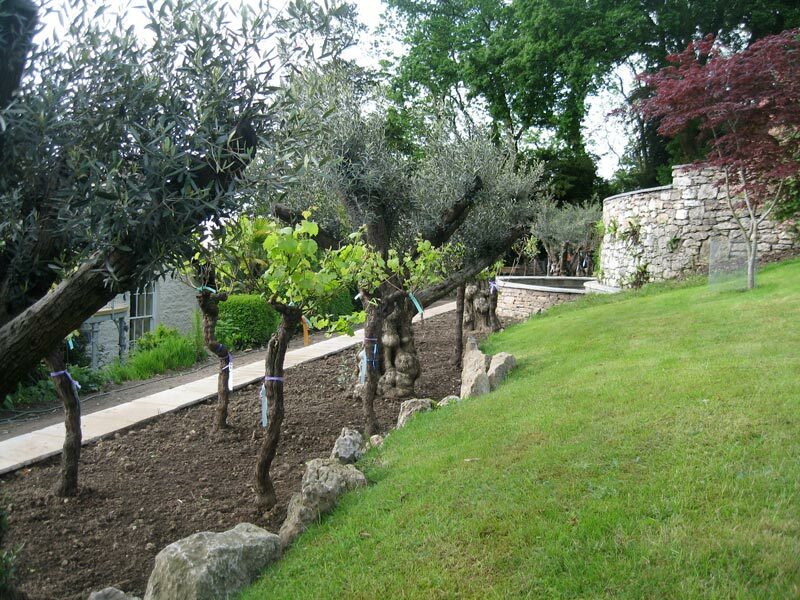 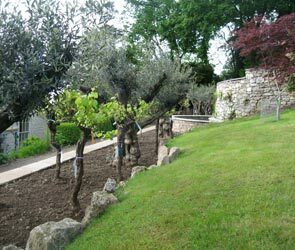 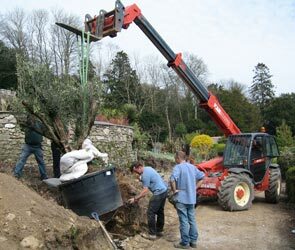 The terrace is planted with ancient olive trees which are interplanted with gnarled old vines. 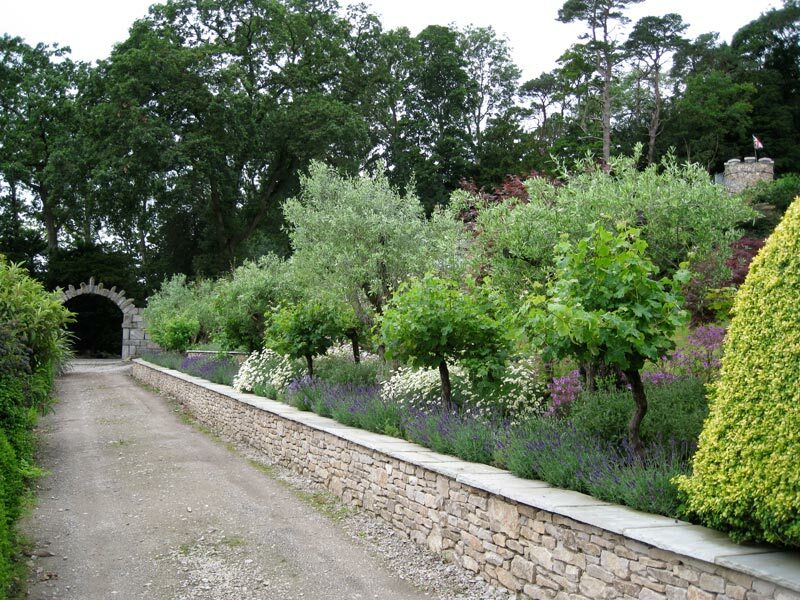 They form an avenue leading to the Meathop Bridge Arch, which was constructed using the stone from a redundant hump back bridge.